Hell hath no fury like a crazy wizard scorned. 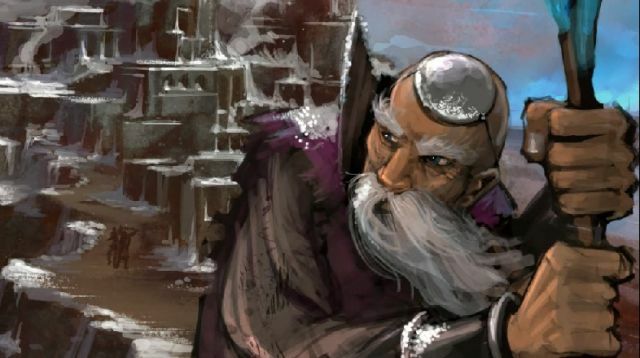 The latest trailer for Crimson Alliance features an old grizzled wizard named "Direwolf." That's pretty cool, as far as nicknames go. He's got all the icy, fiery, lightning-y things you'd expect in a wizard, including a huge chip on his shoulder. Crimson Alliance is an upcoming action RPG where you can join three friends either locally or online for some good old fashioned dungeon crawling excitement. I got some hands-on time with the game at E3, and I liked what I saw. It will set you back 1200 MSP, or you can pick it up for free if you purchased all of the XBLA Summer of Arcade titles. Crimson Alliance is set to release exclusively on the XBLA on September 7th. It supports four player local or online co-op. Page created in 0.3701 seconds.